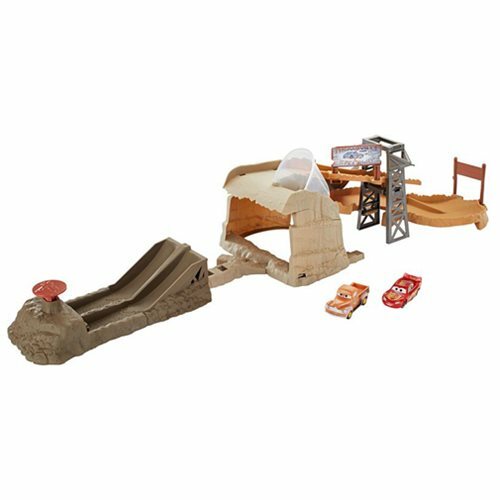 Get ready to race with this Cars 3 Midnight Jump Track Playset! Launch the included Lightning McQueen vehicle over the ramp and onto the fast track, then speed through the harrowing course. Re-attach the launcher and send the champ up the hill and crashing through the breakaway sign. This highly detailed action set transforms for multiple ways to play and also connects to other Cars playsets (sold separately) to expand the movies' adventures!